Chris did a fantastic job for us from beginning to end. The planning stage was very thorough, with Chris making sure that he understood exactly what we wanted done and taking particular care to find and use the right materials for the job. 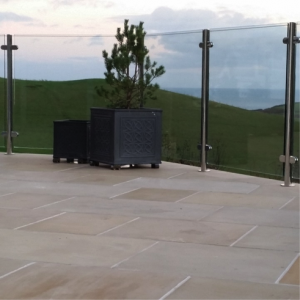 The work was carried out to the highest standard, with real attention to detail, by someone who is clearly passionate about doing a good job and we could not be more pleased with the result. We would have no hesitation about recommending Chris (and Sam), and Clipper Garden Services to anyone considering a similar project. We we’re recommended by a business that this team do a good job !! We are so pleased with the outcome of the work done by clipper garden services and with no hesitation Highly recommend . We asked Chris to make a couple of raised beds and lay some turf. He ended up making several beds, laying paths, redoing garden drainage, creating sleeper steps, moving mountains of soil and laying turf. He was so good we also asked him to take up a very poorly laid patio, install drainage and a quality dpm and relay the whole thing which he did with great skill and care!. Chris is thoughtful and honest, he works really hard and nothing is ever too much trouble. His skills both in gardening and landscaping are exemplary- we would have no hesitation in recommending clipper garden services. He is busy but we guess that’s a reflection of his abilities- worth waiting for!! Clipper Garden Services – We’ve been using Clipper Garden Services for the last 3 years to look after and maintain all of our properties. They did a wonderful job on re-landscaping the garden of our house, and delivered what they said on time and on budget. The workmanship was great, and we find them to be a genuine caring company. Since the main landscaping job, they now maintain all of the gardens, to the point where we don’t need to lift a finger, the grass is always cut, the trees and shrubs are maintained as they should be, and it all just looks neat. Chris and Sam make a great team, we wouldn’t hesitate to recommend, and have done! We are residents’ Association of 7 households in a former barn complex. 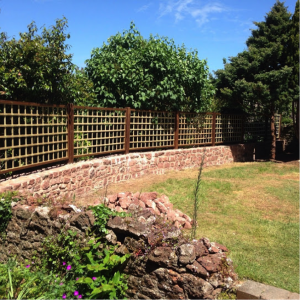 Clipper Garden Services (Chris Lewsey so-trading) has been our chosen contractor for maintaining the common areas of this community for many years. The work mainly involves regular grass-cutting/strimming but has also involved pond maintenance, weeding & tree pruning. This work has always met with our entire satisfaction. His charges are reasonable & his personality is most friendly and highly professional. Householders have also used his services on an individual basis. Their views are the same. We have no hesitation in rating him highly. We cannot praise Chris and his team highly enough. Chris and Sam came and rescued us after being left high and dry from another gardener. From the very outset Chris was very professional, had a great eye for design and was able to pull together our thoughts and add his own flair to the project. With all the different levels ours was very tricky landscaping but they worked incredibly hard and got the job done. Everyone who saw them commented on how hard they worked and the finished garden gets nothing but praise. The only problem is they do it so well you keep finding other things which need attention! Not only did they landscape the back, put in new steps and altered paths to the front, but also erected a new fence along the property. Chris has a good eye for garden design and landscaping. He is a good worker, in fact neighbours said “he is a “grafter”. We have been pleased with his work for us on three occasions and found him conscientious and trustworthy. Chris does an excellent job of keeping our garden in order, from laying new turf to regular strimming and weeding. When we need heavy digging doing he takes care of that as well. Quick, professional service from a friendly local tradesman at a fair price. Very hard working guys, with a friendly & helpful attitude. Can defiantly transform tired gardens & give immediate impact. Will defiantly be recommending them to people ( & have already) as well as having them back in the future. Thanks Again. Absolutely brilliant! We gave very little notice of when we needed out garden to be done (which was a lot of work) and Chris was able to squeeze us in. Cannot fault this company one bit and would recommend to anyone I know. Cheers for the great work guys. Highly recommend! Wouldn’t go anywhere else for garden services! Did a cracking job of my back garden! Very friendly and hard working. Massive help cutting our tree back. And will be using them again very soon. Highly recommended and well priced.